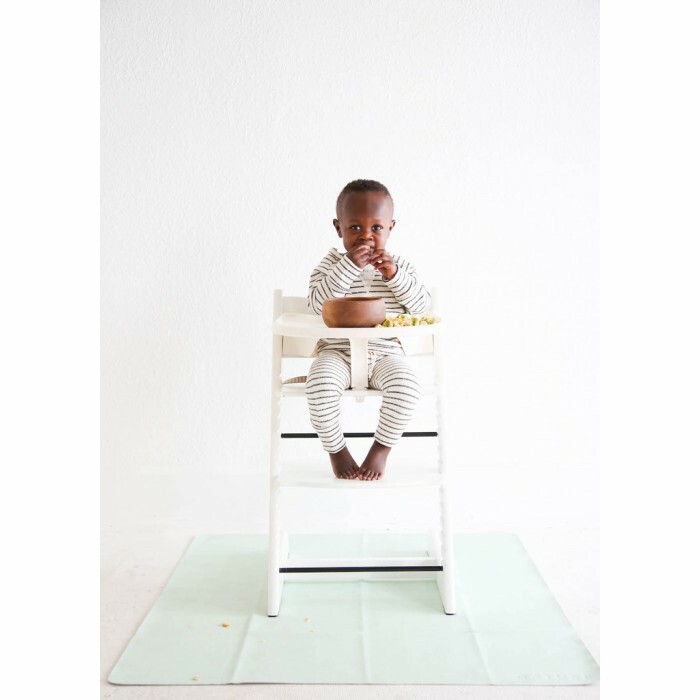 I’m so excited to be sharing with you guys one of my absolute favorite baby stores, The Baby Cubby. If you guys are Utah locals this store is a must but if your aren’t don’t worry, they have a great online store! Win for everyone! 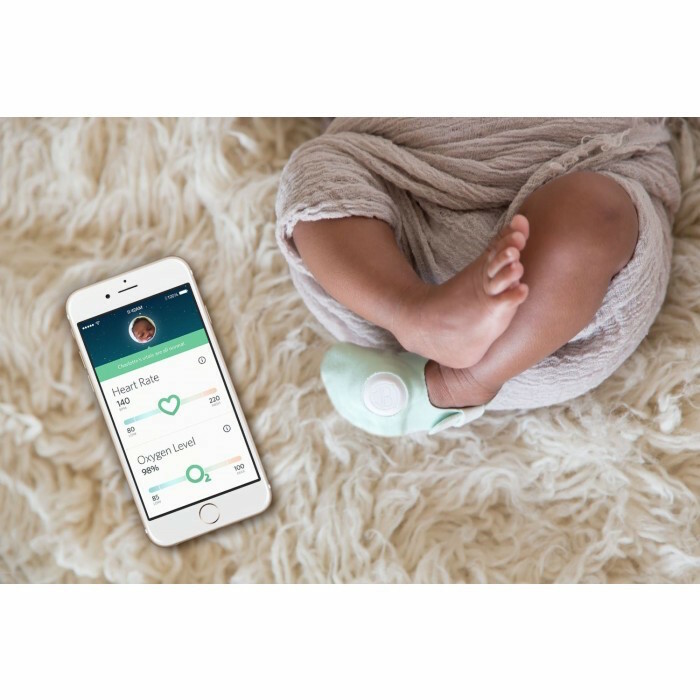 The Baby Cubby offers the latest and greatest products and along with that the test & research the products to provide the best of the best! 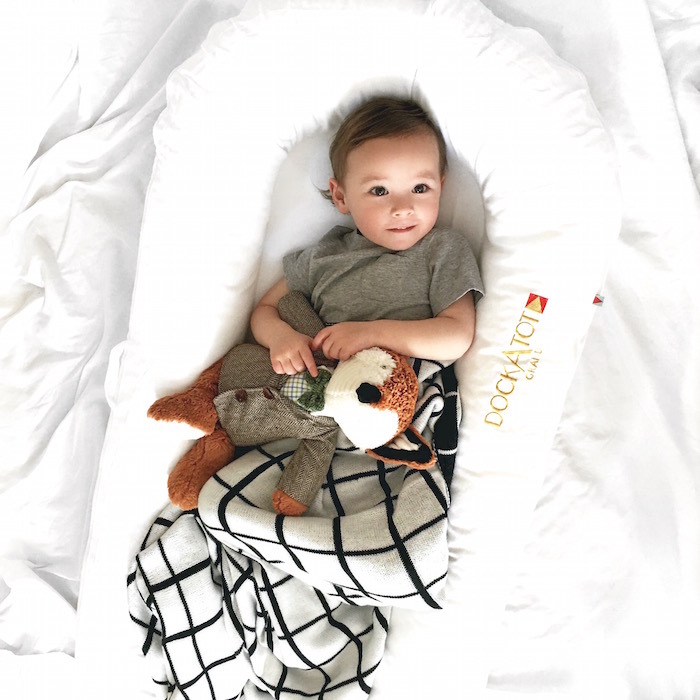 Whether you are looking for your 1st baby or your 5th The Baby Cubby is a one stop shop for anything you might need along with any advice you need on products as to which ones will suit your needs the most. It is also great for any baby gifts you need to buy! I love the vast variety of products they have to offer to make your gift tailored to whomever and unique. My first time in the store I was in awe! Not only is it the cutest baby store I’ve ever seen but everything they had to offer was amazing! I went a little crazy for our little Monroe and Mason went to the store with me so that lucky duck stocked up on some fun Tegu toys! 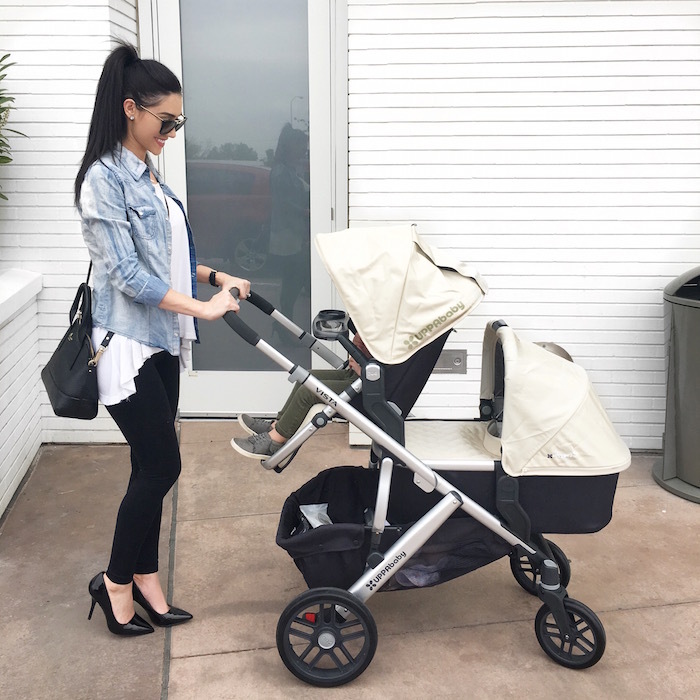 You can test the strollers on the stroller track they have, they price match everyday – even amazon, and offer free shipping (order over $49) on their site! If you guys are planning on running into the store but can’t imagine dragging all the kids in NO WORRIES they have curbside service and will bring it bring it right out to you! Amazing right?! Now, why can’t we get grocery stores to start doing that! The Baby Cubby stands for providing parents the best of the best and making our lives easier! Whether you have a baby on the way or already have a couple, we don’t always have the time to shop around & do much research. That’s where The Baby Cubby comes into play and saves the day! 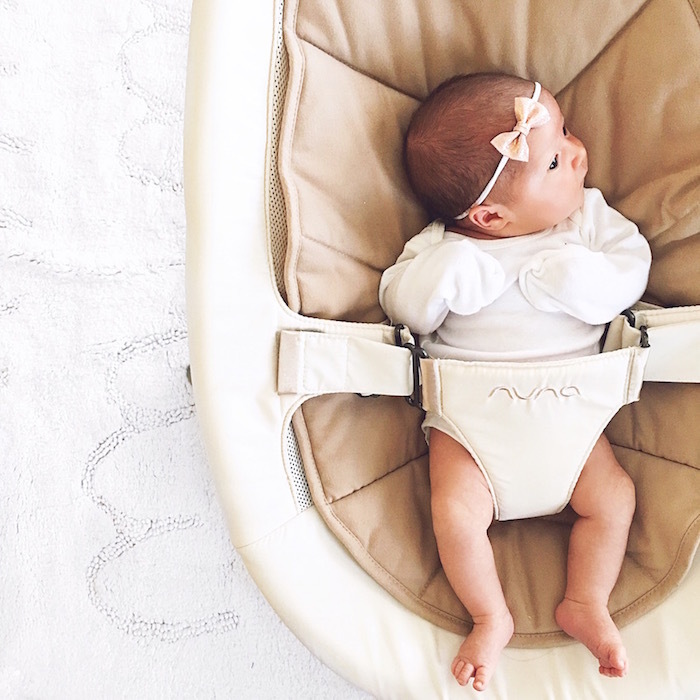 Some of my favorite brands they have to offer are Little Unicorn, Owlet, Aden + Anais, Nuna, and UPPAbaby! I also make a list at the very bottom of things from there I cannot live without. 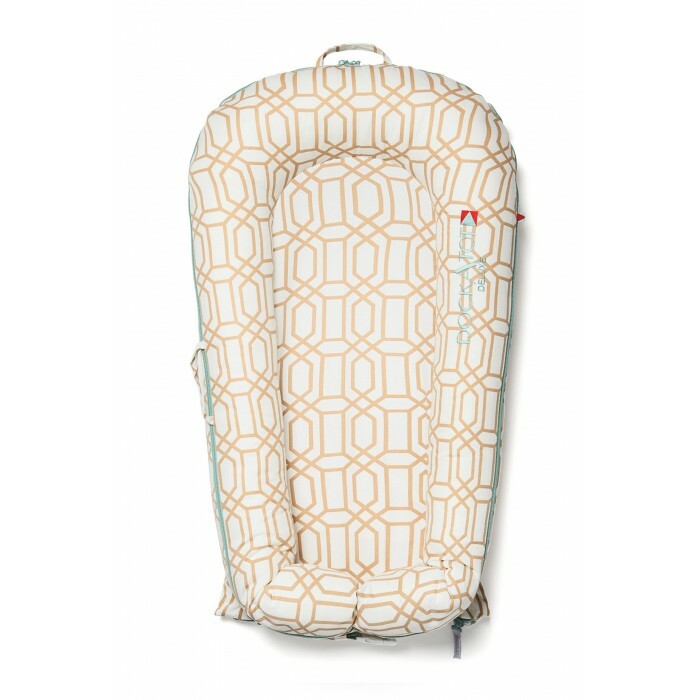 I have picked out a couple of my favorite & newest products that The Baby Cubby has to offer below! I love the fact that they have the basic necessities as well as the gadgets & products that make parenting so much easier & fun! Please let me know if you have any questions! Find out a little more about The Baby Cubby here and what makes them different here, their mission here, and what they believe here. Use code BRITTANYMADDUX for 10% off! More about it in this post. This product is one of my favorites! We have it for both kids and love it! 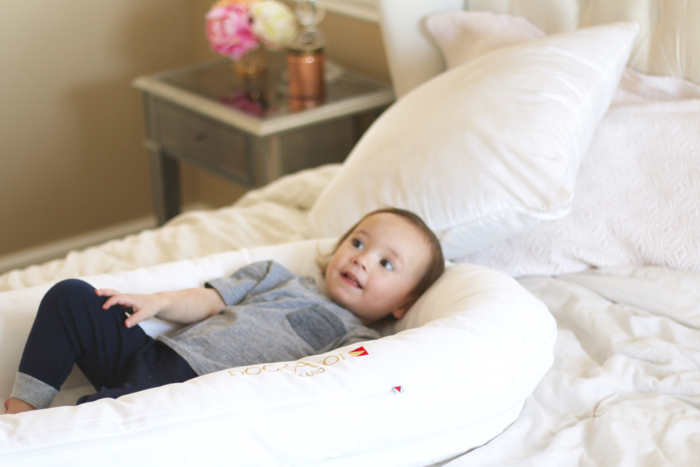 It really helped us with Mason when we transition him from his crib to a normal twin bed. We put it on top of his bed and I never worried about him falling out. It also helped him feel a little snug, like the cozy crib feeling. Now I take it out whenever he wants to do quite time downstairs or watch a movie. He thinks it his special “bed”! I love the small one for Monroe too! Often times we will keep her in our bed until right before we go to sleep just to get some extra 1-on-1 time with her and I will put the Dock a Tot in the middle of us. It’s perfect to keep her cozy! The Nuna car seat is the one I have in my moms car (she watches the babies often). It’s great! 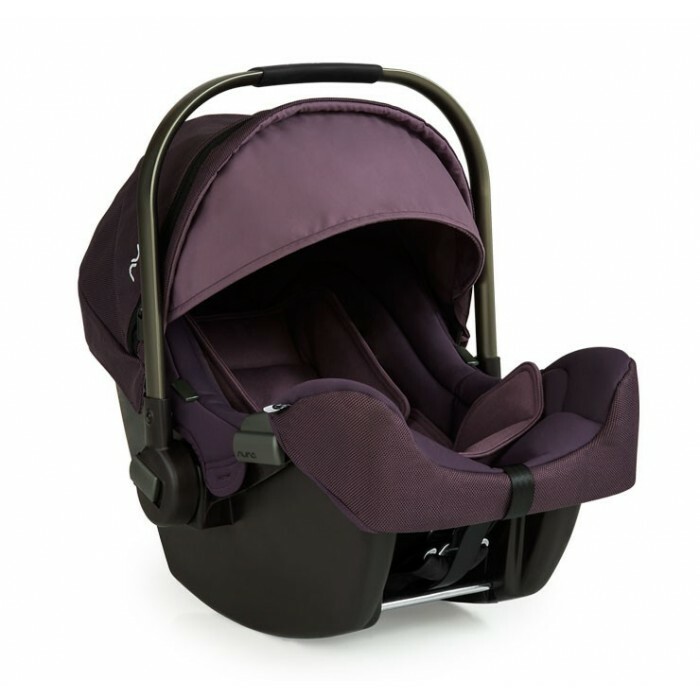 We love the snugness, safety, and the fact that it is compatible with the Nuna strollers. Like the IVVI I’m showing below with Mason. You can pop the seat he’s in off and put the Pipa on! Great travel system! This amazing mat is ideal for all us mommas out there who are constantly sweeping the floor. I swear I also lost my mind this weekend because I vacuumed & mopped 2 times each within 2 days! We have dark hardwood and when Mason is finished eating he often starts to throw little pieces of food on the ground. This was fine (or at least it didn’t bother me as much) when we had our dogs but now that we are dogless I’m the one cleaning it up! This mat is great for eating time, outdoors, or playing a fun water game! Love it and the colors it comes in! How adorable are these shoes! They come in a variety of patterns! I love how unique they are along with being comfortable for the little ones! These are some of my favorite things right now! 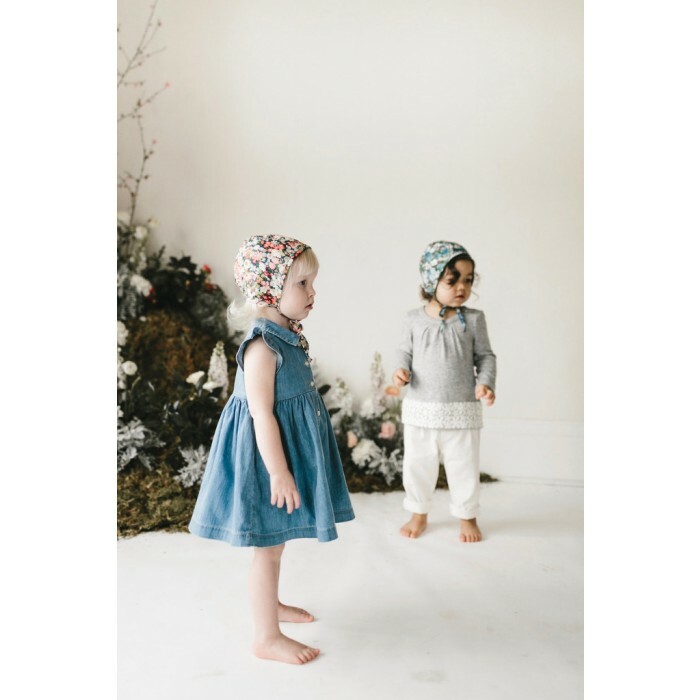 These bonnets are so adorable & timeless! I love all the cute patterns! I’m so excited for Monroe to wear hers! This is the perfect diaper bag! 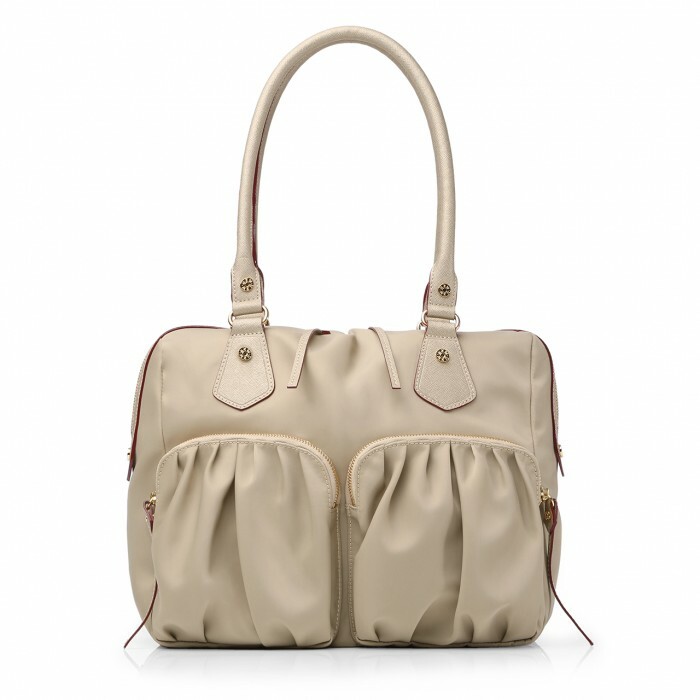 The beautiful design makes it friendly to use everyday without screaming “diaper bag”. I also love the color! 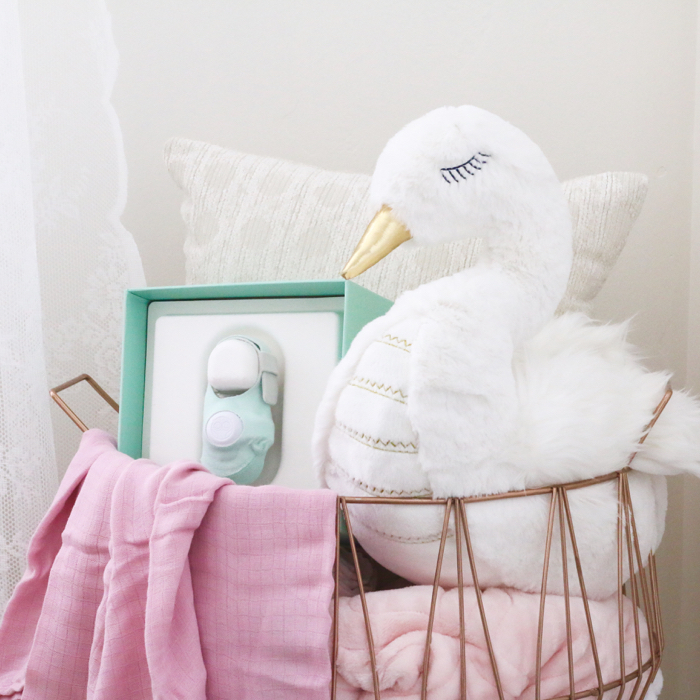 We absolutely LOVE our Owlet! I have a whole blog post about it here. If you are looking for 1 safety item this is the one you need! I love that The Baby Cubby sells it because it makes it so accessible to everyone! This product is a must! 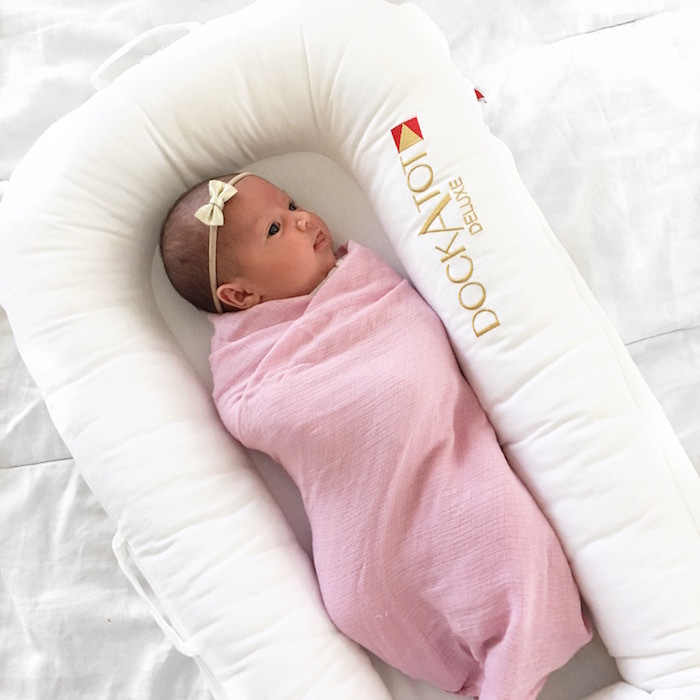 Previous Post Quinny & Maxi Cosi Giveaway!